Awhile back I wrote a post on the process for getting a psycho-educational report done for your son or daughter. Simply put it involves three steps: an intake, assessment, and feedback session. This is a standard format for most psychologists. However, one question I get quite frequently when I meet with parents is: How do you determine if my son or daughter has ADHD or a learning disability? This is a brief statement of why the student was recommended for testing and by whom. Often times the reason for referral is simply to update a previous evaluation (they are typically valid for three years). Sometimes it is on the advice of a school counselor or teacher. Relevant background includes any information leading up to the reason for referral. Relevant background information may date all the way back to birth, or it may be relatively recent. I like to include teacher and parent input (which is obtained during the in-take interview) and sometimes doctor input if there was a previous evaluation. The relevant background information lays the ground work for the narrative throughout the rest of the report. Developmental and medical background can play an important part in a student’s diagnosis. Many cognitive disorders (ADHD, learning disorders, etc.) have a hereditary component. Often times if mom has dyslexia, so does the student. Understanding how a student developed and knowing any past medical issues can lend important insight into any current problems. It’s important to know how a student is functioning on the actual day of the assessments. Is she sleepy, energetic, disengaged, hungry? These characteristics can impact the results of the evaluation, so it’s important to keep track of how the student is behaving and functioning throughout the day. This is a big reason why I try to limit the amount of time a student is in my office; after three hours or so an individual simply cannot perform his or her best, and results of the evaluation may become questionable. Perhaps the most important part of the report is the student’s IQ exam. Most clinicians administer either the Wechsler or Woodcock-Johnson assessments to determine the base-level intelligence quotient. Determining a valid IQ score lets the clinician know what the student is cognitively capable of in various domains. The findings from the entire evaluation pretty much begin with the IQ score. Most students that I work with are referred because they are struggling in school. So logically it makes sense to assess their overall academic skills. Again, the Wechsler and Woodcock-Johnson assessments are the most widely used scales to determine a student’s academic skill level. Both tests evaluate pretty much the same domains, but I always include at least math, reading, writing, and spelling. There are many other specialized assessments of academic skills, and I may or may not use those, depending on the reason for referral. 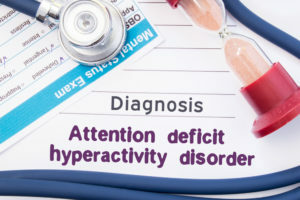 ADHD is sometimes hard to determine. There is no definitive test for ADHD. Rather, there are a set of criteria a student must meet to qualify for a diagnosis. In order to determine if a student meets this criteria, the clinician will get input from parents, teachers, and doctors. 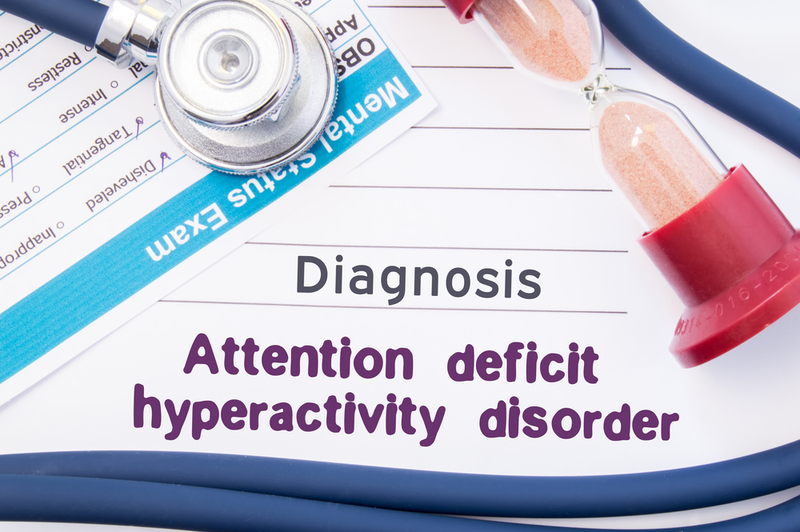 Additionally, most clinicians will administer a computerized test to help confirm or rule out a diagnosis of ADHD. The most thorough evaluations will include the computerized component. There are many ways to assess social and emotional characteristics of students. But the most frequently used are surveys that both teachers and parents fill out. There are many different forms, and clinicians usually have their favorites. They can range from short (35 questions or so) to really long (over 300 questions!). You will most likely be asked to fill those out at home and bring them back the day of the testing. Sometimes you may need to sit in the waiting room and fill them out. Similar to the social and emotional evaluation, behavioral evaluation is mainly determined by parents and teachers (and sometimes the student) filling out surveys. These are usually bundled with the social and emotional surveys so that they can all be filled out together in one sitting. Many times the social and emotional part of the report will be combined with the behavioral part, since there is so much cross over between the two. As I mentioned, the purpose of a neuro-psychological and/or psych-educational report is to build a narrative to offer insight into the student’s strengths and weaknesses. When conducting the evaluation and writing the report, the clinician is trying to piece the puzzle together and gain a comprehensive understanding of what the child is struggling with and why. Similar to an essay we all wrote back in high school, there should be an introduction, main body, and conclusion. The summary section gives the overview and offers the a succinct view on the overall problem. Once the narrative is established, then the clinician can assign a diagnosis if one is warranted. A diagnosis should make sense given everything taken together in context. The best reports leave no doubt as to why a diagnosis is assigned. In the instance when no diagnosis is warranted, the report should also inform the reader why. This section lists the recommendations from the clinician to the student, parents, and any other stakeholders in the child’s education. The list can be short or long, but it should give a bulleted list of services that may help the student. Many of the recommendations listed are also used when putting together an IEP for a child’s 504 or Special Education plan. Also, when considering accommodations for the ACT and SAT, those organizations will also want to see the list of recommendations. Writing good reports is a skill. The best reports inform the reader and offer valuable insight into strategies that may help the student. The above list is by no means comprehensive, and there are many other pieces that may be valuable that are not listed here. However, when considering an evaluation for your child, make sure you ask the clinician if all these components are included in the report. It will save you a ton of time and energy to get a thorough evaluation on the front end and not have to go back for follow up information.